We are thrilled to wish a hearty congrats to Justify and jockey Mike Smith on their Triple Crown victory! At the 150th running of the Belmont Stakes on June 9th in Belmont, NY, Mike Smith rode Justify to a win making them the 13th pair to win the prestigious Triple Crown victory of the Kentucky Derby, Preakness, and Belmont Stakes. Smith has ridden great racehorses such as Holy Bull, champion mare, Zenyatta, and the world's richest racehorse Arrogate. He said of Justify, when asked who his favorite horse was, "He's the greatest of all time". 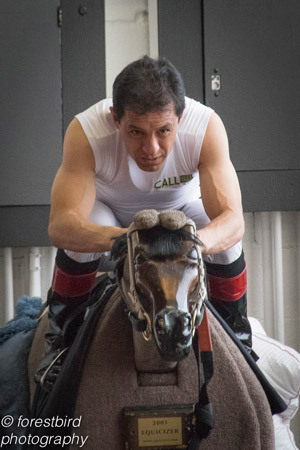 Mike Smith uses the Equicizer for warmups and workouts, and has even visited our workshop. His personal Equicizer is named after Zenyatta. Justify was foaled March 28, 2015 in Kentucky by John D Gunther of Glenwood Farms. He is the first Triple Crown winner to have not raced as a two year old and only the second horse to win with an undefeated record leading up to the race. Other Triple Crown winners in his lineage include Seattle Slew, Secretariat, Count Fleet, War Admiral, Omaha, and Gallant Fox. There have been 2 Triple Crown victories in the last 3 years and both of the winning jockeys are avid Equicizer users! We are very proud of this fact! What was your favorite part of this Triple Crown bid/win? Let us know on social media! 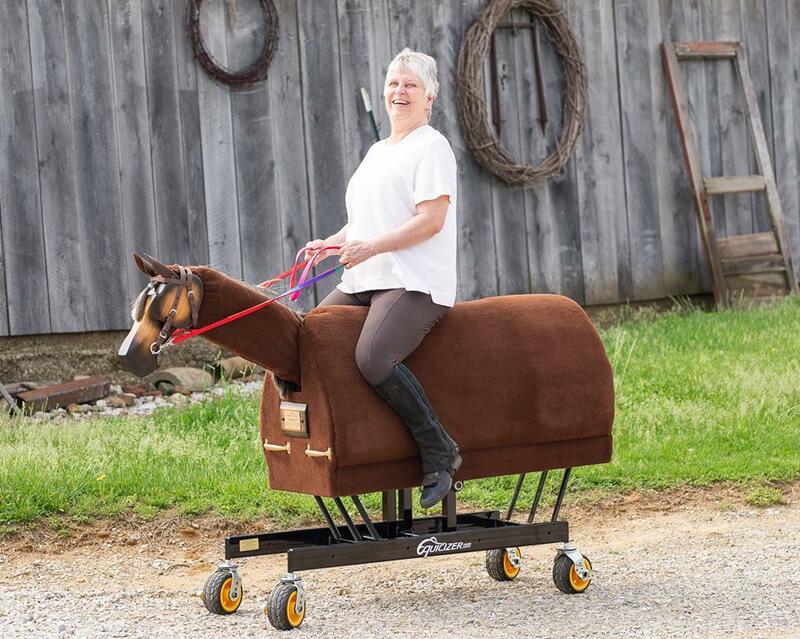 Healing Reins Therapeutic Riding Center receives their Equicizers! From Healing Reins' Facebook page: ""Meet our newest member of the herd, Sweetie! Thanks to a generous contribution from our friend Ron Friedman, Sweetie will help build confidence, balance and core strength in our riders! 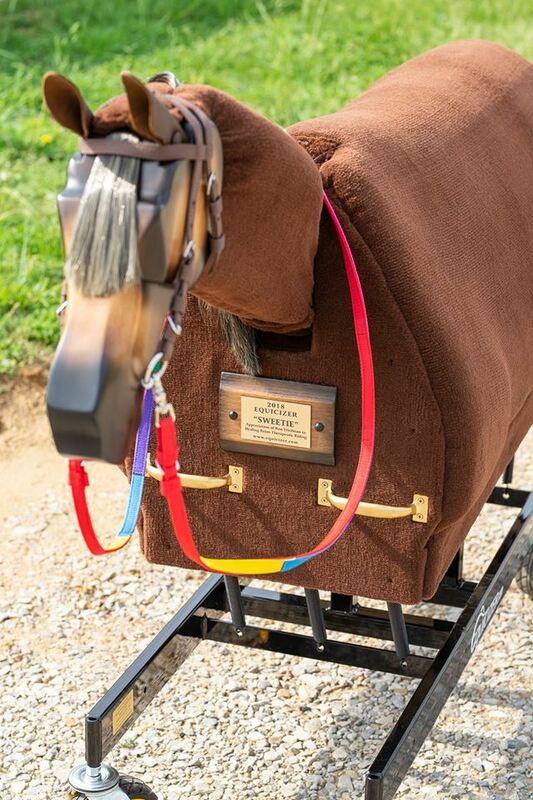 We are looking to add another "Equicizer" to the program, so that we can have one at each farm, let us know if you are interested in sponsoring it! Susan Nance was the first to take her for a demo ride!" Be sure to check out Healing Reins Therapeutic Riding Center on Facebook! You can subscribe to our biweekly blog posts by entering you email in the bar at the top of the blog page! Check out the latest in our "Meet the Team" update series. Amanda is our Director of Social Media. Did you know that each Equicizer has a unique ID number? Read more here to learn about the identification process! We hope everyone has a safe and enjoyable Independence Day! 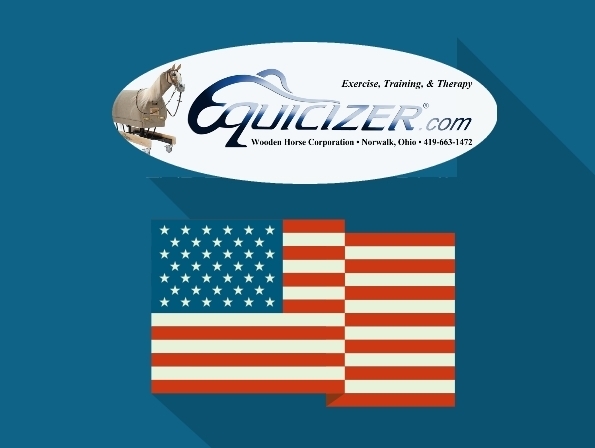 We are proud to say that the Equicizer is made in the USA.